Is Kansas a frugal state, compared to others? Is this true? 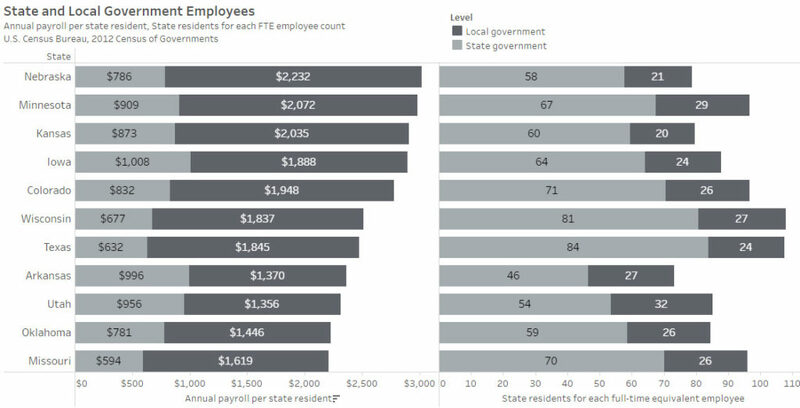 What is the state and local government spending in Kansas, on a per-person basis? How does it compare to other states? In the visualization, you can see that Kansas spends quite a bit more than nearby states. Of special interest is Minnesota, which is often used as an example of a high-tax state, and a state with excellent schools and services. 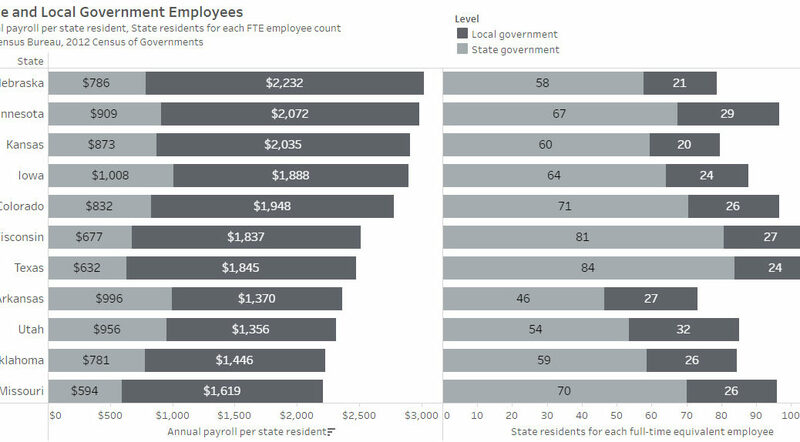 But Minnesota spends barely more than Kansas, on a per-person basis. What about Colorado? It seems that Kansans often look to Colorado as a state full of bounty. But Kansas outspends Colorado. Same for New Mexico, Wisconsin, Texas, and — especially — Missouri. So: Is Kansas a frugal state? It doesn’t seem it is. Click here to access and use the visualization. State and local government employment and costs, selected states. Click for larger.